This exhibition presents the famous Ned Kelly series of paintings by the celebrated Australian artist Sidney Nolan. Painted in 1946 and 1947, the series takes the form of stylised depictions of the exploits of the notorious bushranger Ned Kelly in the Australian outback. The works were originally held at Heide Museum of Modern Art, Melbourne, where Nolan had painted 26 of the 27 when it was the home of his close friends John and Sunday Reed. They were gifted to the National Gallery of Australia in 1977. The Ned Kelly series follows the main sequence of the Kelly story. However, Nolan did not intend the series to be an authentic portrayal of events. Rather, the various episodes became the setting for the artist’s meditations upon universal themes of injustice, love and betrayal. The Kelly saga was also a way for Nolan to paint the Australian landscape in new ways, with the story giving meaning to the place. Born in 1917 in Melbourne, Sidney Nolan attended the National Gallery of Victoria School of Art. He was conscripted into the army in 1942 and began to paint his immediate surroundings the Australian outback. In 1945 he began his first paintings on the theme of Ned Kelly. From 1953, Nolan began travelling extensively from his base in London, he painted many remarkable series of works inspired by his travels to Europe, Africa, China and Antartica. 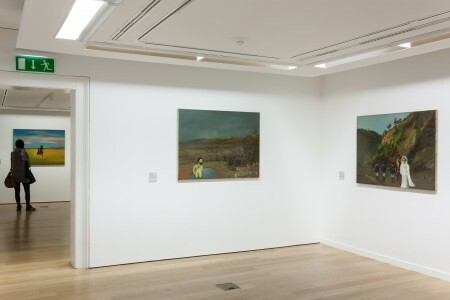 Nolan made several visits to Ireland, where he painted his Wild Geese series, inspired by the many Irish soldiers who fled the country after the failed Jacobite wars of the 1690s, representing them as well-known latter day exiles and wanderers such as James Joyce and Ernest Shackleton. Six of the series were donated to the IMMA Collection on the foundation of the Museum in 1991, and a further work, Gallipoli, 1955, was donated the following year. 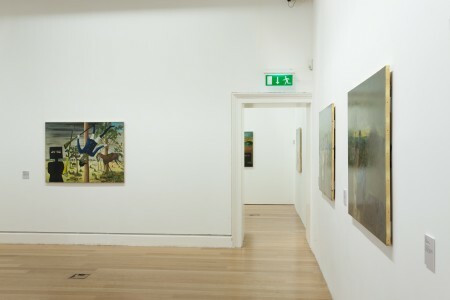 Major retrospective exhibitions of Sidney Nolan’s work include the Whitechapel Art Gallery, London, 1957; National Gallery of Victoria, Melbourne, travelling to Sydney, Perth and Adelaide, 1987; and more recently at the Art Gallery of New South Wales, Sydney, 2007. Nolan’s work is widely represented by the National Gallery of Australia; The Tate, London; The Museum of Modern Art, New York; the Pittsburgh Museum of Art, and the Irish Museum of Modern Art. Sidney Nolan was knighted in 1981 and was awarded the Order of Merit in 1983. He died in London in 1992.